Staunton is a city in the state of Virginia. With a population of over 23,500, the city was recently named one of the best small towns in America. The area boasts plenty of arts and culture offerings for residents and visitors. The town is known for its historic architecture that exists within its six National Historic Districts. Its downtown area is compact and is best explored on foot. There are over a hundred shops to visit, plenty of art galleries and restaurants, as well as music festivals during summertime. The gorgeous Blue Ridge Mountains are not far, a few miles from Shenandoah National Park Skyline Drive and the Blue Ridge Parkway. The Scots-Irish immigrated to the area in 1732. By 1747, the area was laid out and named for Lady Rebecca Staunton Gooch, who was the wife of Virginia’s Governor at the time. 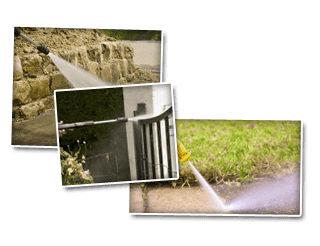 Located in nearby Charlottesville, our professional power washing company at Cavalier Window Cleaning have provided expert services to residents and commercial property owners since 2001. Our team of professional pressure washers are comprised of specialists that offer years of industry cleaning and professional customer service. We are licensed and bonded for your safety. Whether you need the exterior of your home cleaned or your garage or basement flooring cleaned, you can count on us to get it done thoroughly and safely. Hand cleaning may be old fashioned, but professionals like us know that sometimes it’s the only way to go when you clean windows. Streaks and smears are easy to create, whether cleaning by hand or with a soft wash technique. That’s why it takes trained and experienced professionals like our to ensure that every spot and bit of grime is thoroughly removed. Why have dirty window sills or casings if your window is supposed to have been cleaned? We agree that this simply won’t do and that’s why we dedicate ourselves to providing you the type of service you desire. There’s nothing wrong with wanting the safest clean you can get, and we’ll be happy to provide you with this excellent service. Power washing services here at Cavalier Window Cleaning & Power Washing include techniques other than full-forced pressure washing. Full force is one method used on tough to clean surfaces like concrete sidewalks or garage floors. But other surfaces often need gentler approaches like our soft wash services. Or professionals know their construction materials and know what is best to get them clean. The exterior of your home is safe with our experts. Dirty siding can make your home look decades older than it is. Green algae, mold, dirt buildup, debris blown and stuck where it shouldn’t be, all add up to make your home look worn down and neglected. If you’re wanting to renew the look of your home, power washing services are the way to go. Not only can we get your home looking new again, but we’ll put that special sparkle in your windows too. Just call us and you’ll be amazed at how great your home will look once again! If you are looking for Power Washing Services in Staunton, please call 434-823-1737 or 540-910-1434 or complete our online request form.